FROM ALL OF US IZZIES. . .
AND FROM DEEDY J, TOO. . .
Christmas Countdown #12: Only 1 Day to Go!!! We guarantee you will all have a good time! Including our boss, whom we all call S.C.
Christmas Countdown #11: OK OK, we're bragging a bit here! Oh what fun it is to read our Izzy books each day. How you'll smile! How you'll laugh! Every girl and boy! You will find our stories overflow with Christmas joy! We do it in secret so he doesn't know! So we Izzies are still fooling around with our blogsite using the new fun tool that we found. This. And turns out new puzzles and games that delight! To build in the secrets that thrill kids enough. To be truly surprised by hand-buzzers and such!" Here's a verse for dear Whizzy. 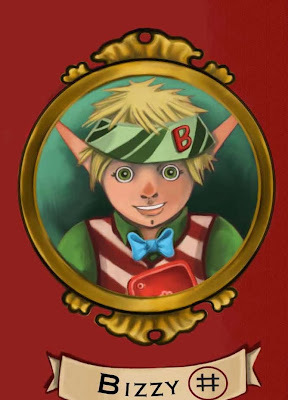 He is the elf who accidentally trapped his friend inside a bookcase that was delivered by Santa Claus in Tizzy, the Christmas Shelf Elf. We hope you are enjoying our little poetic countdown to Christmas Eve. Only six more days (and nights, actually) to get all our work done! Yikes. To "keep up" for him means unending elf-scurrying. And bow-ties the presents that Santa will take. Deedy (that's Dorothea Jensen to you) told us she is going to give away 20 free downloads of the Audible audiobook of Frizzy, the S.A.D. Elf on Christmas Eve. She plans to make a random selection from those who sign up to receive her newsletter. There is a link to do this at the top of the column on the right, but we'll put it on this page, too. 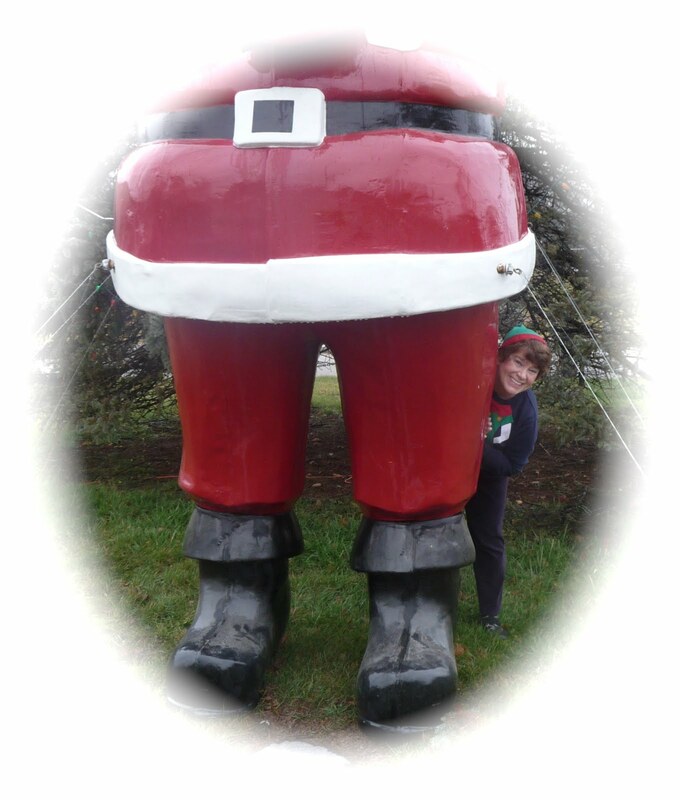 to whet your appetite for Christmas fun. Sign up soon for this giveaway. Drawing will be done on Christmas Eve! Here's our latest verse for counting down to Christmas Eve. We must admit we filched it from our book trailer, but you must understand we are VERY BUSY up here in the Izzy Elf Section of the North Pole right now. We figured a shortcut might be OK. Once. Put smiles of delight on your progeny’s faces. They’re perfect for pleasing your family crowd! 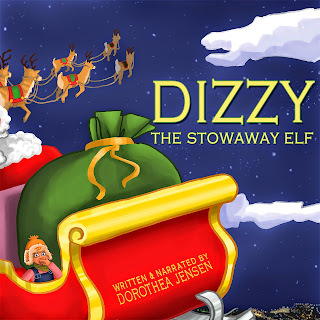 Here is the book trailer for Dizzy, the Stowaway Elf. 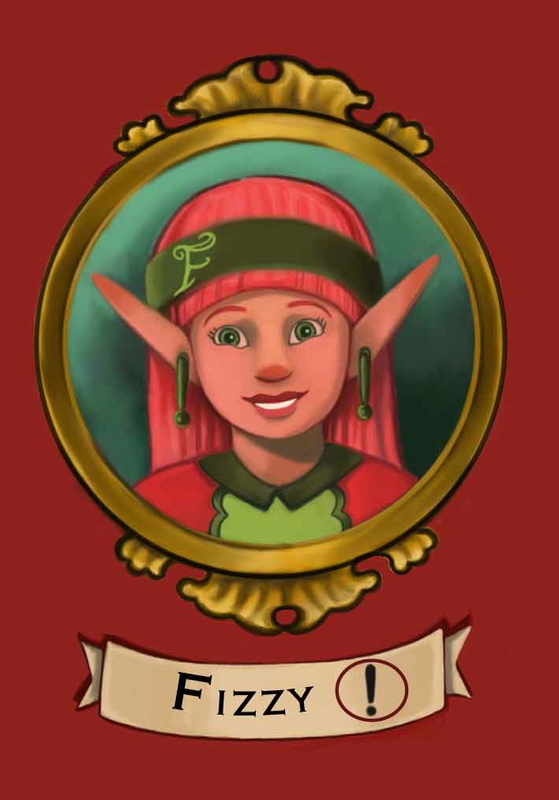 We Izzy Elves were nosing about this blog site and spotted the tiny little symbol shown above. We were intrigued. What could it mean? We finally asked Deedy (that's Dorothea Jensen to you) who explained that it is a thingy used in filmmaking. (She should know, because her son, "Hawk", is a filmmaker.) She looked at it and figured out that it meant we can now post VIDEOS right here on our IzzyElfBlog. So starting today, we are posting the "trailers" for all our stories. Today's Countdown verse is about Blizzy. That, when shaken up, contain snowflakes that glide. A bit of "White Christmas" to hold in their hands. This was so exciting that we decided to have an Elf Celebration just like the one we have on Christmas Day. We are so grateful to all of you out there who helped us reach this big number! We just wish we knew who you are. 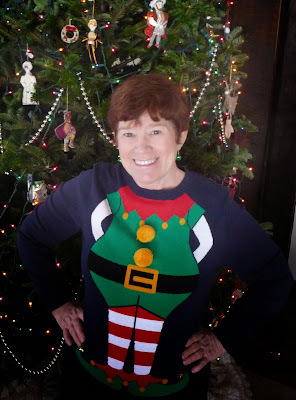 Please, please, please sign up for Deedy's (that's Dorothea Jensen to you) newsletter so we can say "thank you" personally! For those of you who don't know, Tizzy picks out books for children. 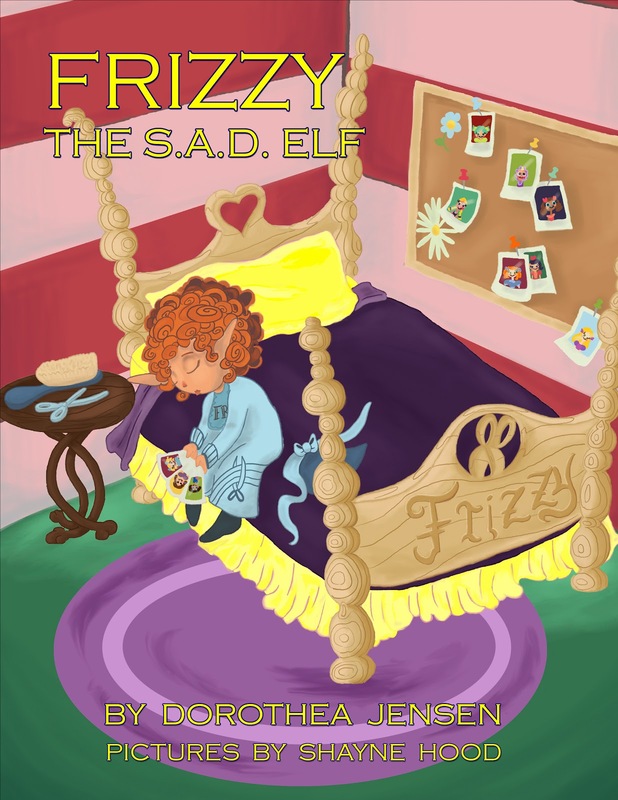 “Well, don’t forget, Blizz, that’s his job,” Frizzy smiled. For Santa to bring in his sleigh Christmas Eve. And Tizzy is surely the busiest one. With thousands and thousands of books to be read! Her new girl-type trucks seem to be a huge hit. To ready them all to arrive Christmas Day! You might have noticed that the first of our "advent" calendar poems we published yesterday was one day short of a regular advent calendar. That's because we Izzies are all about The Deadline, which for us is Christmas Eve. That is when we all stop working, help Santa load up the sleigh, and start celebrating. This is not to say that we consider Christmas Day in any way unimportant! No sirree! Christmas Day is what gives all of us our purpose in life. Hang mistletoe bunches up all by herself. Her Tizzy will give her a mistletoe kiss! 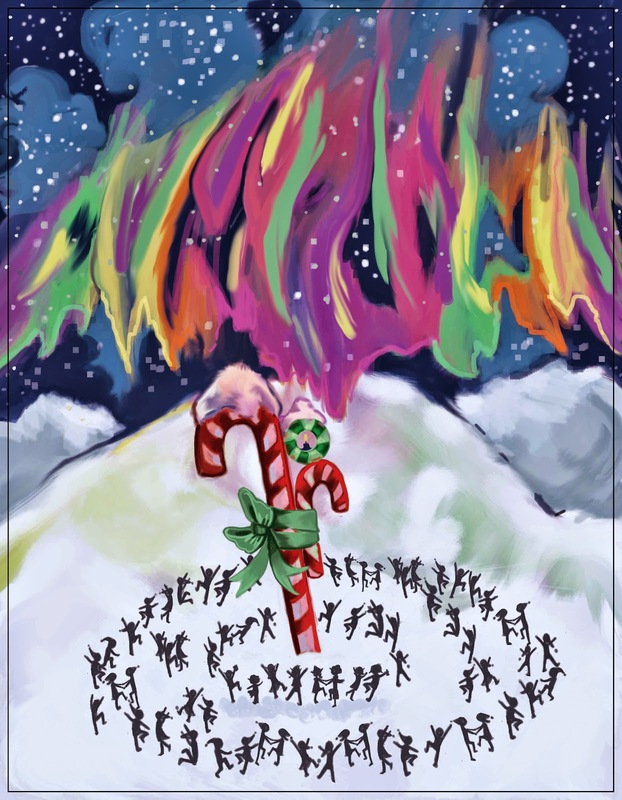 #1 Counting down to Christmas in rhyme! We Izzies have decided to make a rhyming advent calendar to celebrate the season. To make the right gifts for each child on the list. And scanned the web wishlists of online go-getters. So our task is quite huge, and time’s wasting away. We’d better get busy and fill Santa’s sleigh! 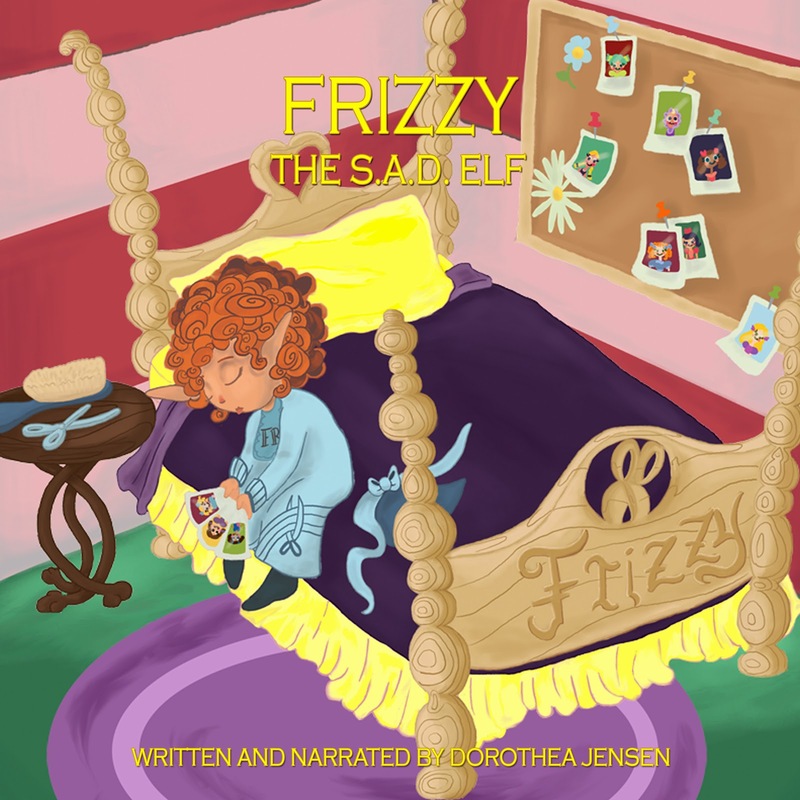 Deedy (that's Dorothea Jensen to you) told us she is going to give away 20 free downloads of the Audible audiobook of Frizzy, the S.A.D. Elf. She plans to make a random selection from those who sign up to receive her newsletter. There is a link to do this at the top of the column on the right, but we'll put it on this page, too. 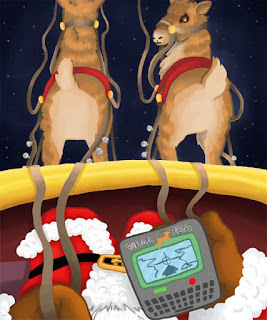 Here's a sample of this audiobook, to whet your appetite for Christmas fun. Sign up for the newsletter soon, so you will be part of the pool for this giveaway! Drawing will be done just before Christmas. A real life boy talks about his ride in Santa's sleigh! 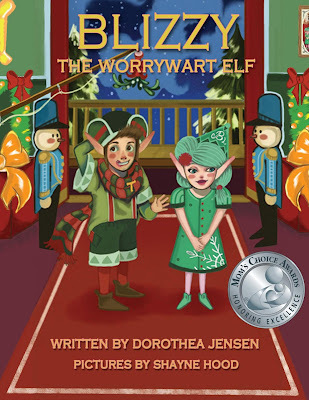 As some of you may know, several of our Izzy Elf adventures have included some of Deedy's (Dorothea Jensen to you) grandsons. 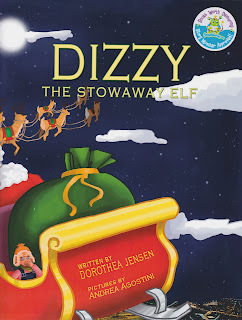 Her oldest grandson, Stuart, (also known as the Senior Cousin) and his little brother, Drake, "star" in Dizzy's story (along with Dizzy himself, of course, not to mention Santa Claus). Recently, Deedy interviewed Stuart about Dizzy, the Stowaway Elf, in which he, Drake, and Dizzy take a wild ride in Santa's sleigh. Here is the magic link to watch this! So Tizzy, who had mixed feelings about his story being given away for free, is now feeling much better. 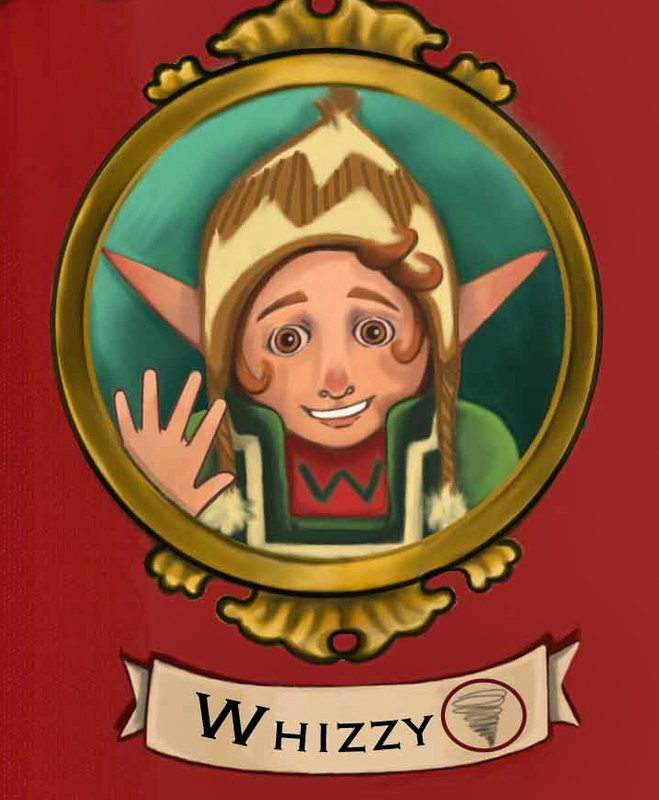 When he saw that hundreds and hundreds of people had downloaded Tizzy, the Christmas Shelf Elf during the recent giveaway, he actually felt PROUD! PLEASE READ MY STORY ALOUD. EVEN IF THERE IS NO ONE TO HEAR IT BUT YOU! We all agree with this. All of our stories were written to be read aloud, which maximizes the fun. Don't forget, if you don't want to read it aloud yourself, Deedy (that's Dorothea Jensen to you) has made audio versions that you can play. GIVEAWAY DAY #3: FYI - We Have No Connection Whatsoever with Elf on the Shelf! 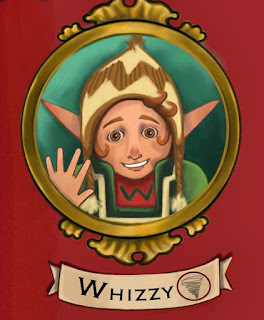 It suddenly occurred to us Izzy Elves, however, that some of you might think this book has something to do with the Elf on the Shelf stuff. 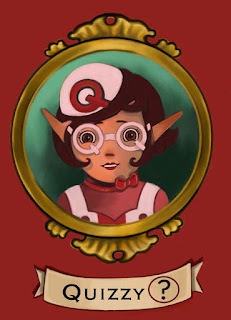 However, we would like to assure you that Tizzy and the rest other of us Izzy Elves would never SPY on any children and rat them out to Santa Claus! But that’s way too creepy—that Santa forbids! 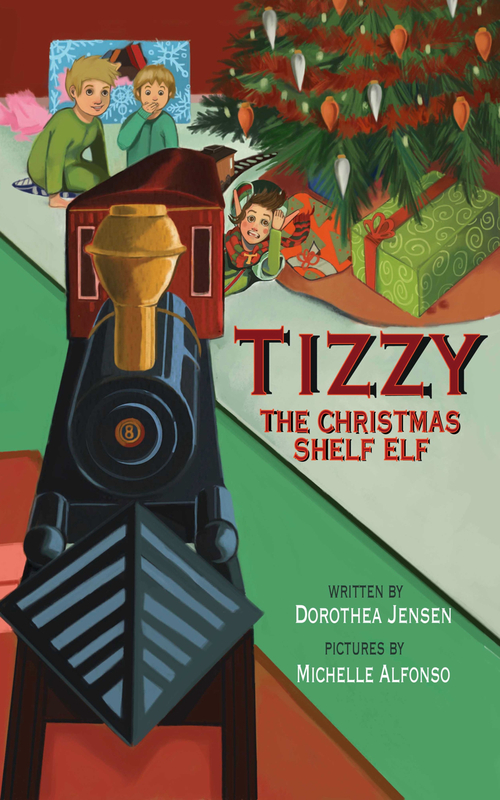 In the interest of Full Disclosure, we must tell you that Deedy (that's Dorothea Jensen to you) wrote Tizzy's story down many years ago, she did, in fact, call it The Elf on the Shelf. By the time it was published, however, she found that someone else had used that title. To avoid confusion, she re-named it Tizzy, the Christmas Shelf Elf. Therefore, a few people might be disappointed when they read this because nobody is a spy, but most are delighted! And now you can find out what your reaction would be for free! 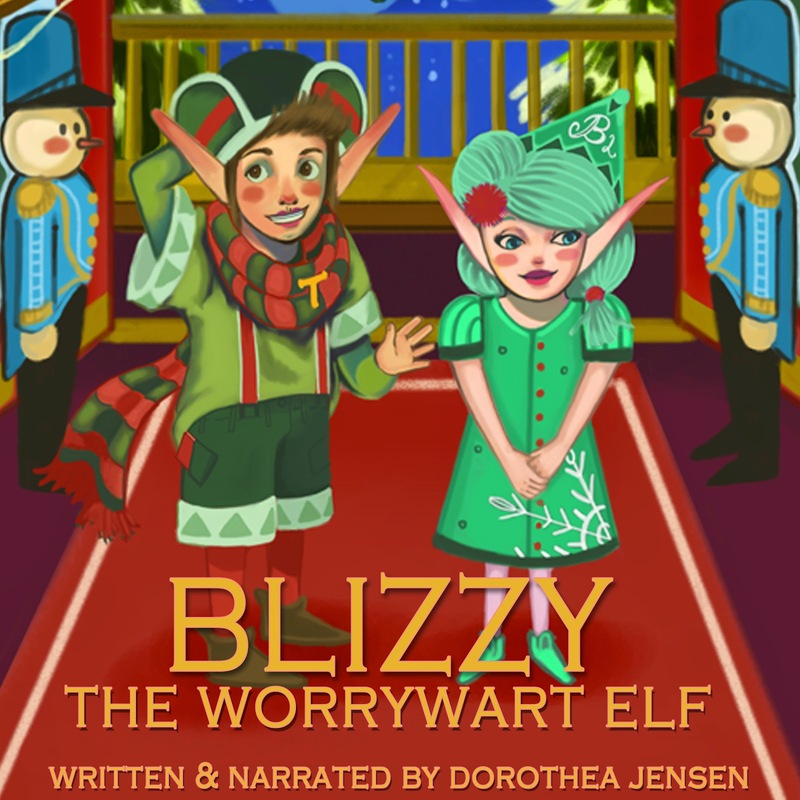 This is the second day of the GIVEAWAY of the Kindle edition of TIZZY, THE CHRISTMAS SHELF ELF, the first of the stories about us, Santa's Izzy Elves. Here is one of our favorite reviews of this story, by Rene@MotherDaughterBookReviews.com. They are even more surprised to discover a tiny elf, Tizzy – one of S.C.’s (i.e., Santa Claus) elves – who was accidentally packed into a present. Alex and Owen try a number of ways to return Tizzy to his home, but they soon discover that there is magic deep within the pages of books. The boys must hurry though, as they hear their parents coming down the stairs, and they are about to unknowingly place Tizzy in grave danger. What I love the most about Tizzy, The Christmas Shelf Elf is that it is a true “read-aloud” story. While the book is indeed illustrated beautifully by Michelle Alfonso. I think children will be totally captivated by the story. There are some funny passages such as when the boys mistake Tizzy for a mouse and Tizzy gets chased by characters in the video game. The author also provides some tension to the story such as when the parents throw the packing fluff into the fire and the boys are afraid that this spells the end for Tizzy. All in all, this rhyming book is perfect for reading aloud to children of varying ages. 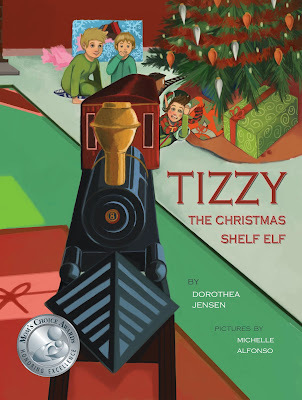 . .
Tizzy, The Christmas Shelf Elf is a clever read-aloud story featuring two excited siblings who sneak down early Christmas morning and discover a very special surprise. Only through their discovery of the magic of books do they find a way to send Tizzy back home. Kudos to the author for highlighting the importance of books! I recommend this book to be read aloud to children ages 5 and older. GET A FREE KINDLE COPY OF TIZZY'S STORY: GIVEAWAY STARTS TODAY! We Izzy Elves are not QUITE sure why, but starting today, Deedy (that's Dorothea Jensen to you) is giving away Kindle e-books of our Tizzy's story FOR FREE! Tizzy has mixed feelings about this, to say the least. He wonders why the other three stories, Blizzy, the Worrywart Elf; Dizzy, the Stowaway Elf; and Frizzy, the S.A.D. Elf, are not free, too. He worries that Somebody thinks his story isn't worth anything. We explained that whenever Somebody gives a book away as a gift, that means Somebody thinks it is EXTRA valuable. We also told him that his story will only be given away as a gift until Monday. After that people will have to pay to buy it again. That made him feel better. We think. Of course, his story is also on Kindle Select for awhile, so some people will be able to read it for free, but the rest of us Izzies decided not to tell Tizzy that until we know how to explain it better. Anyway, here is the magic link again. Just in case. Okay, Okay. Even We Izzies are Impressed! 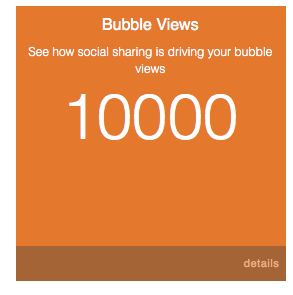 10K Hits on Bublish! Deedy (Dorothea Jensen to you) sent this to us, and we think it is big enough news that we agreed to put it on our blog. After all, some of these Bubbles are apparently about us Izzies. That's probably why people like to read 'em! This is the total - as of late today - number of "hits" on my Bublish account, that I began writing in late July. I have no idea who the people are who read my "Bubbles", or why they like to read them, but I would like to say "thanks" to all of you who have done so. 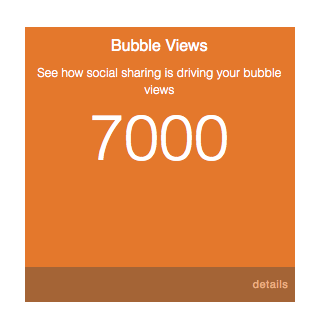 I really had no idea how to do this when I started Bublishing exactly four months ago. 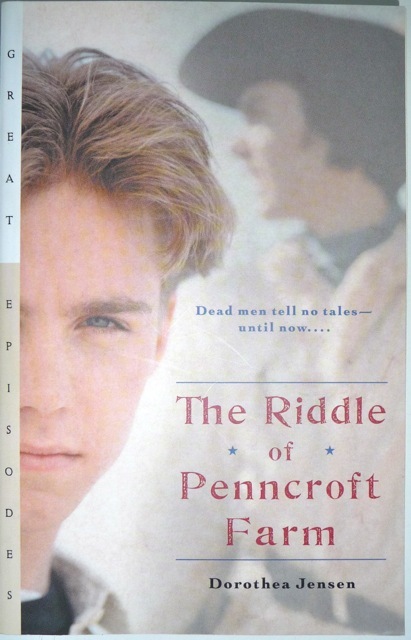 I found, however, that it was terrific fun to revisit my stories, sometimes many years after writing them (30+ years, in the case of Riddle). I can't believe how easily I recall how I came up with ideas. Especially at my age. In any case, I ended up simply writing stuff to entertain myself. I am delighted that my Bubbling is apparently entertaining for others as well. Here's the link if anyone out there might like to take a peek at my Bublish stuff. Finally, we all signed a petition asking her to pay some attention to us. She pointed out that she has been paying SOME attention to us by creating Bubbles about our stories. "Just what are Bubbles?" we asked, not quite ready to forgive her. Of course, at first, we all thought WE should be the ones writing these Bubbles, as it sounded like it might be fun. She squashed that idea, unfortunately. So, once again, we have to rely on her to write down the truth about us Izzies and what we told her to write in our stories. 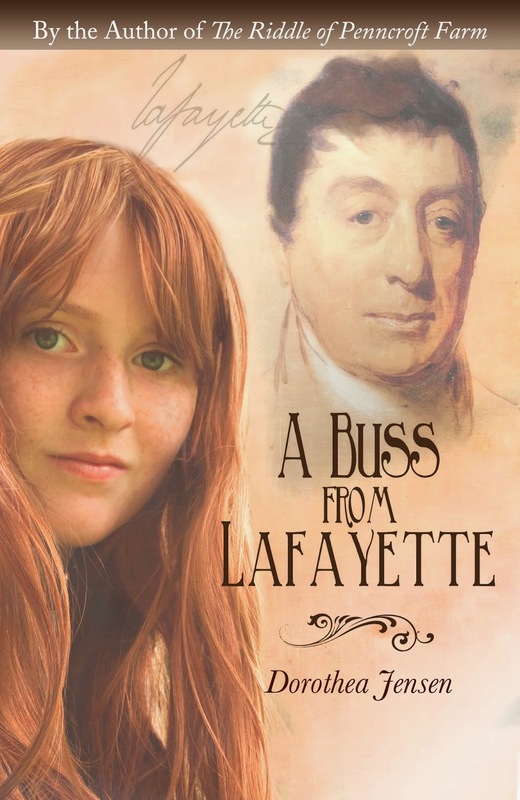 Tizzy and Blizzy, by the way, noticed that their stories are NOT on Bublish. Maybe we need to do another petition. GIVEAWAY!!!! 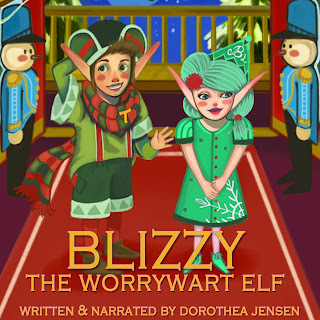 Free Kindle download of TIZZY, THE CHRISTMAS SHELF ELF 11/24-30! 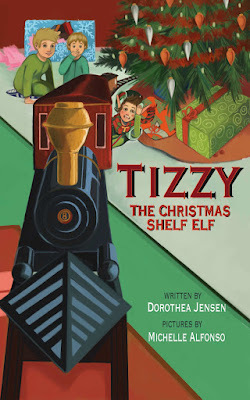 The Kindle edition of Deedy's (that Dorothea Jensen to you) first Izzy Elf story, Tizzy, the Christmas Shelf Elf, will be available for FREE beginning Thanksgiving day and ending Monday, November 30. 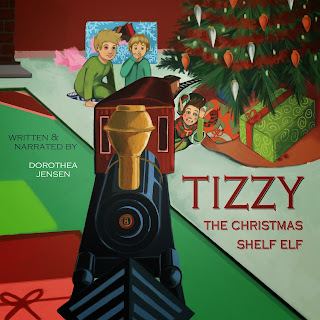 Just follow the link below on those days and start your holiday season with our Tizzy's adventures!